Zika virus outbreak in both Rajasthan and Madhya Pradesh have now subsided completely. There are no reports of fresh cases and vector indices are also well within acceptable limits. New Delhi: The US government’s Centre for Disease Control and Prevention (CDC) has modified its advisory against travelling to India which it had issued after zika cases were reported in Rajasthan and Madhya Pradesh. The Indian government had urged the US to “withdraw or modify” its advisory in January by providing evidence of the contained outbreak in the country. Director General of Indian Council of Medical Research (ICMR) Dr Balram Bhargava in his communication also provided data on human and vector surveillance for zika virus disease in India. “The communication was successful in ensuring modification of the travel advisory on March 27, 2019. The status of India has now been changed from ‘ongoing outbreak’ to ‘current or past transmission but no current outbreak’,” the ICMR in an official statement said. 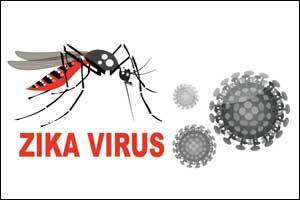 It said the zika virus strain isolated from Rajasthan matches with the Brazilian zika strain associated with outbreaks, and microcephaly/Congenital Zika Syndrome (CZS) and that the ICMR-NIV Pune has initiated mice/animal studies to understand the potential of this virus to cause microcephaly or CZS. “Preliminary reports suggest the absence of one known mutation linked with microcephaly. However, further characterization of the strain is required as microcephaly/CZS has several attributable causes,” the statement stated. The ICMR has also initiated a study to understand the outcomes of pregnancy of women infected with zika and also the occurrence of CZS as well as other neurological malformations in their newborns. The study is being rolled out in Rajasthan in the first week of April and in Bhopal by the end of April. Attempts are also being made to expedite the phase II zika vaccine clinical trials of Bharat Biotech International Ltd. Human surveillance for Zika virus disease in India will be continued. As of now, no cases of Zika virus disease are being reported from any part of the country. In December 2018, the Centre for Disease Control and Prevention, USA, issued a travel health notice on zika virus in India. The travel advisory depicted that India has an ongoing outbreak of the disease in Rajasthan and its surrounding states. The advisory further cautioned pregnant women not to travel to areas with ongoing zika outbreaks. Women planning pregnancy were also alerted on travel. “Such an advisory could have serious implications on travel and trade in India,” Bhargava said. Raising concern over the advisory, Bhargava had said it created an impression that the outbreak of the disease is still continuing. “I wish to bring to your attention that Zika virus outbreak in both Rajasthan and Madhya Pradesh have now subsided completely. There are no reports of fresh cases and vector indices are also well within acceptable limits. “I urge you to take up the matter with the concerned authorities at CDC and withdraw/modify the travel advisory,” Bhargava had said in the letter.